The ultimate goal of this project is the successful implementation by 2025 of a comprehensive plan to remove Spout Run from Virginia’s impaired waters list. 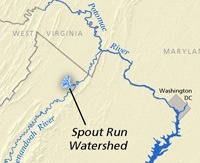 The currrent objective is to use innovative multimedia communication tools as well as conventional approaches to: 1) Develop a locally supported management plan for the Spout Run watershed; and 2) Inform and inspire successful watershed planning processes in other Shenandoah Valley communities. 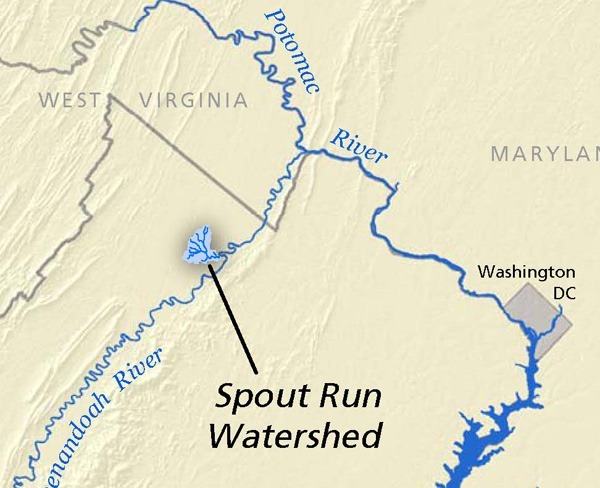 Spout Run is located in Clarke County, Va., and enters the Shenandoah River 33 miles above its confluence with the Potomac. The 14,000-acre watershed encompasses the broad spectrum of rural and urban land uses.